Here’s a secret: all my working life I have been a man divided. It’s at the weekends that my conflicting emotions really bubble up to the surface. As I stand in the AmEx terraces (flapping my arms like a bird to keep warm) I feel the energy of the Brighton fans start to swell. 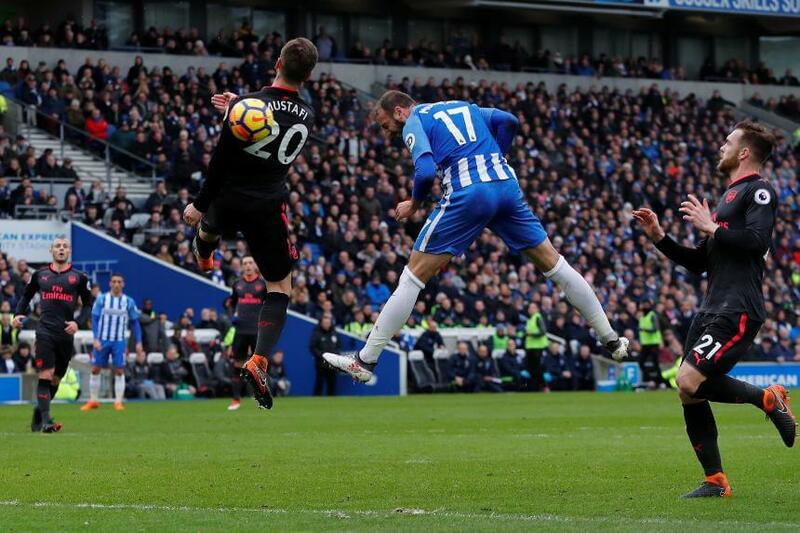 Dunk slides the ball through to Knockaert. Knockaert cuts through the defence like a knife. His cross is good – as ever. But the ball skitters just wide of the post. ‘Brighton. Brighton. Brighton’ chant those around me – and I’m there yelling at the top of my voice. And then the chant changes. I feel a familiar divided loyalty – one I’ve felt for years. During the week I help control gulls. At the weekend I’m supposed to cheer them on. 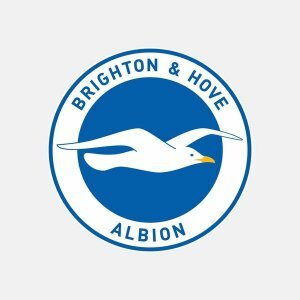 The irony of supporting a team nicknamed the Seagulls is never lost on me. And I still struggle to join in with gusto when the Seagulls chant begins. But I know too much about seagulls to let go. Let me share why my throat dries up when the ‘Seagull’ chant cries out. We may call them seagulls – but these birds are far from confined to the coast. Any town or city is likely to have its own gull population, no matter how far from the sea it is located. Gulls will live anywhere that offers a constant source of food from rubbish and waste – busy towns, tips, industrial estates and so on. Indeed, wherever humans can be found gulls can quickly become pests. Here are some things you may not know about gulls, the threat they pose and how you can control this. The typical location of the urban gull is perched on top of a roof – surprisingly, this favours their nesting and breeding better than their ‘natural’ clifftop locale. The rooftop’s escaped heat ensures the urban gull can enjoy a few degrees more warmth than those on the chilly cliffs – and this allows breeding to commence sooner and gives the resulting chicks a better survival rate. Gulls mate for life – sticking with the same partner throughout their allotted 20 years. This fondness for the familiar also can be seen in the gull’s preference to be intensely territorial – ‘dive bombing’ those who stray near its nest – and to return to the same place to roost year after year. Herein lies a real problem. For many of the gull’s chicks, having reached three years old, will also join it to nest near their family. 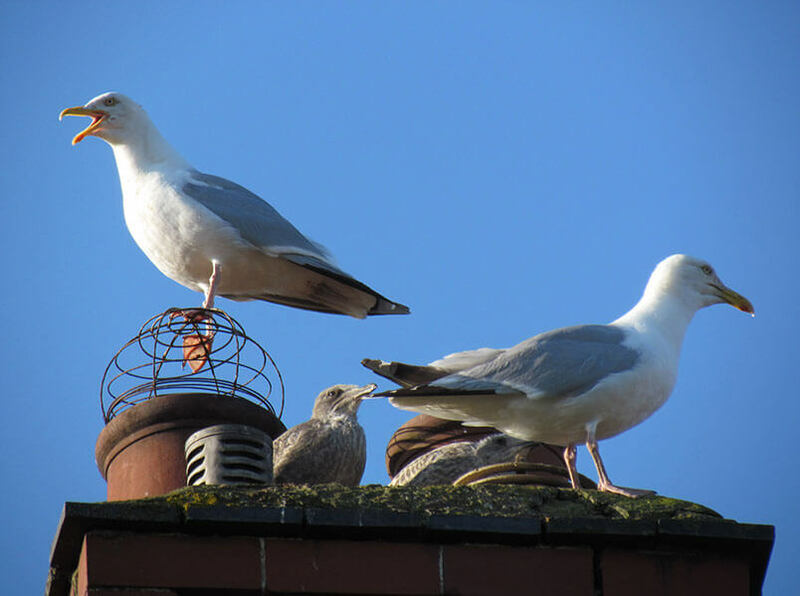 In the urban environment, gulls nesting on roofs of houses are most likely to be herring gulls, whilst lesser black-backed gulls are usually found congregating on the larger expanses of flat-roofed industrial or commercial buildings. Despite appearances to the contrary, the overall population of herring gulls is plummeting, making them a red list species. While gulls themselves do carry a variety of diseases, such as ornithosis, listeria and e-coli, the main risk to humans is through contact with these contained within their droppings. It’s not just diseases that are carried in gull guano, however. It’s also rich in acid. Over time this can corrode and erode metals, stonework or brickwork. Another major problem for businesses is the unsightly impression that the streaks and smears that gulls on their roof leave over the walls of their premises. 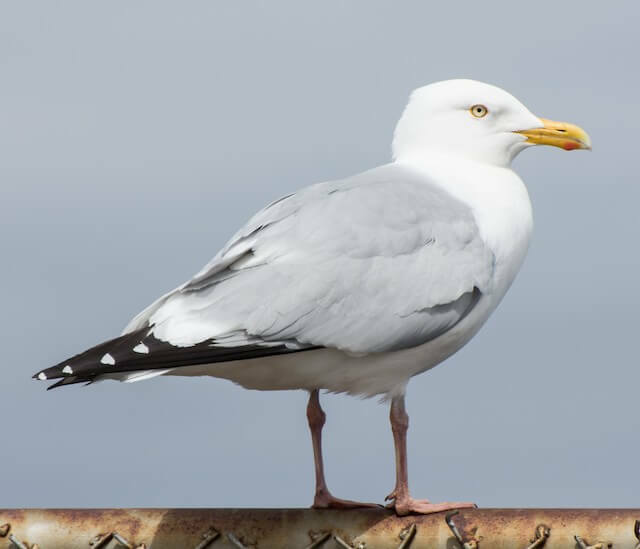 The open structures, beams, pipes, catwalks and towers found in and around oil and gas plants offer gulls an abundance of choice for perching, roosting and nesting. The accumulation of nesting materials and droppings causes considerable damage to mechanical and electrical components. 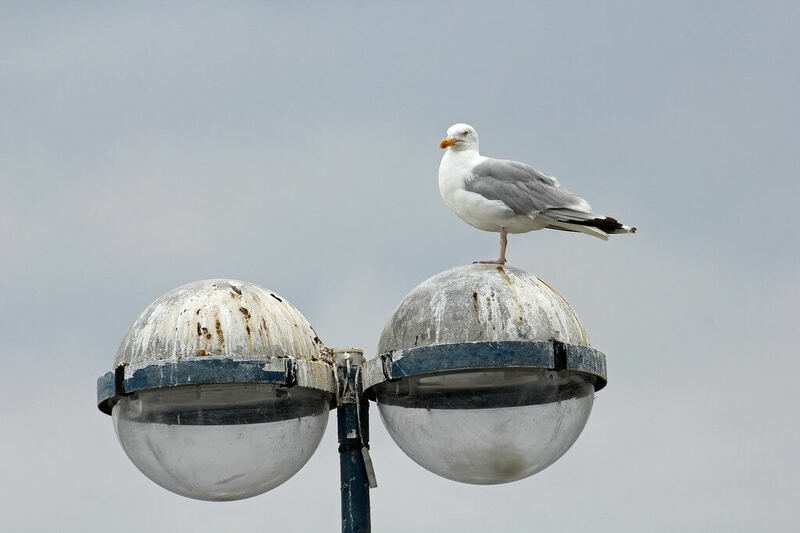 Gull droppings can jam up valves, corrode switches and damage gauges, as well as create slip hazards for workers on catwalks, steps and ladders. Gulls perching or nesting on off-shore stations pose a considerable health and safety risk beyond slip hazards and material damage. 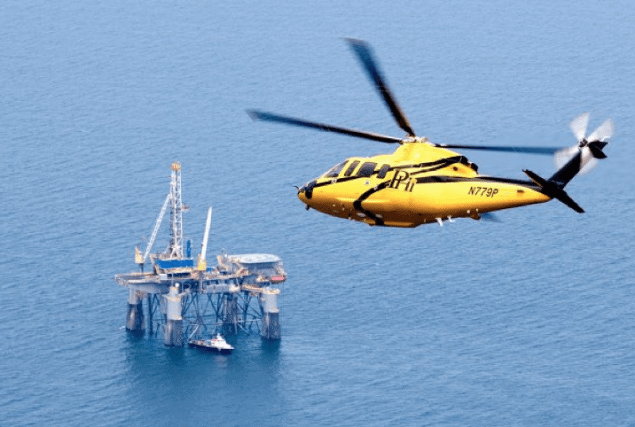 According to Helicopter Association International, for every 1000 foot descended toward an off-shore helideck, the chances of bird strike impact increases by 32%. In addition, there is also a risk of dry guano dust affecting the clean air intake of any helicopter turbines at landing and take-off. Similar risks occur at airports. Here gulls join other birds in finding a safe spot away from large predators and close to plenty of sources of food, but also in the flight path of all air traffic departing and leaving. Once nested gulls will protect and return to the same site with dogged tenacity. If the birds can be dispersed before nesting it is significantly quicker and easier to remove them. 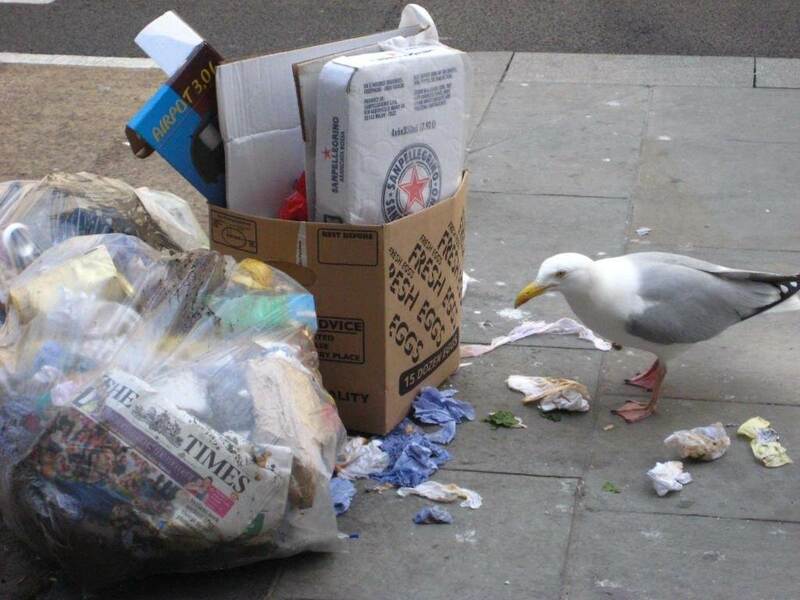 Dealing with how accessible waste is to the gulls will greatly influence the attractiveness of the site. Blocking their access to perching or roosting points is known as proofing. It uses barriers, spikes, nets and wire or employs active systems like shock strips, audible scarers and optical gels. These specie-specific calls cause gulls to take flight and circle over where the sound came from. The bird hovers as it looks from the safety of its height at the potential threat below. Its action causes other gulls to join it. Used regularly, but not too often to cause the gulls to ignore it, this will ‘teach’ the birds that this area is a dangerous place to be. 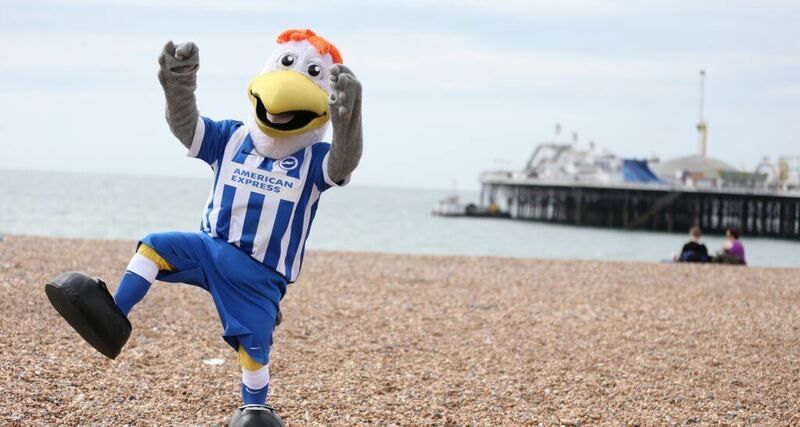 But, as I have found out to my as a Brighton supporter, there is one gull problem that just won’t go away. Slap bang in the middle of our logo. I guess I’ll just have to try and live with it.